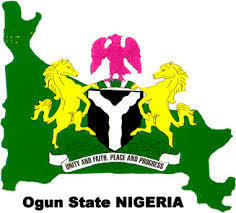 Ogun State government says it has put policies and programmes in place to make the state key to Nigeria’s food sufficiency . Commissioner for Agriculture, Mrs Adepeju Adebajo, stated this at the 2018 Investors Forum in Abeokuta, the capital of Ogun state. According to her such policies and programmes include supporting farmers and firms on the best agronomic practices, cluster-farming, capacity building for all stakeholders across the value chains are all meant to improve food sufficiency. She therefore called on the private Agro Investors to join hands with the state government to make this a reality through tapping into flexible agric policies and programs. She said there are many opportunities in the state’s agric programme, which included the land acquisition, selling of fertilizers at subsidised rates among others. Also speaking, Minister of Agriculture, Audu Ogbeh, praised the Ogun State government in agricultural revival of the country and urged other states to come up with policies and programmes that will help diversify Nigeria’s economy.